Owner will provide clean 21E report. 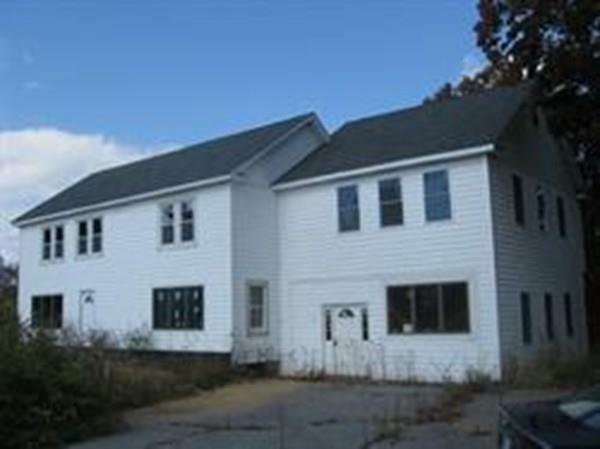 Free standing colonial on busy route 9! Building had a fire and has been rebuilt. Needs interior finishing. Business zoned for a variety of uses. New septic, roof, siding, addition to the right, more!! Great location across from the Spencer Country Inn!! Can be bought with the court house to the left which has 6000 SF. Assessed Value Building 109600.00 Assessed Value Land 62800.00 Assessed Value Total 172400.00 Commercial Industrial Type Commercial Condo Association No Disclosure No Exchange No Gross Annual Income 0.00 Lease Yes Lender Owned No Mau Units 0 Mill Rate 13.50 Ofu Units 3 On File21 E No Reu Units 0 Rsu Units 0 Short Sale Lender App Required No Space Available For Sale Sublet No Tax Year 2017 Taxes 2410.00 Utilities Private WaterPrivate Sewer Wau Units 0 Year Built Source Pr Zone Description Legal Non-Conforming Zoning Bus.